I’ve gotten into the habit of carrying my little knitting bag nearly everywhere to make progress on some of my smaller projects when I have a bit of free time. So when I got the chance to go to the Hollywood Bowl to see the LA Phil and Los Angeles Master Chorale perform Verdi’s Requiem on Tuesday, I knew I would be taking it along to work on the sock I had cast on Monday. But, being paranoid as I am about having my knitting needles taken away somewhere at security, I wanted to check for any restrictions. There is no information anywhere about knitting at the Hollywood Bowl. I know there are many knitters out there who like to bring work along to concerts and such, but there was literally nothing on the Internet that said whether you could or not. Typing “knitting Hollywood Bowl” (simplest term I came up with) only leads you to pages that mention The Knitting Factory and Hollywood Bowl. So I decided to wing it. Now, my experience may not be typical. The security guy glanced at my lunchbox and I didn’t even have time to open my tiny knitting bag before he waved me through. But no one else inside the venue said anything about it, so I’m assuming it’s not against any regulation. We got there right as they were letting everyone in to be seated, so we ate our dinner at our seats, which were luckily in the front of the section. That meant we could use the ledge as a makeshift table. 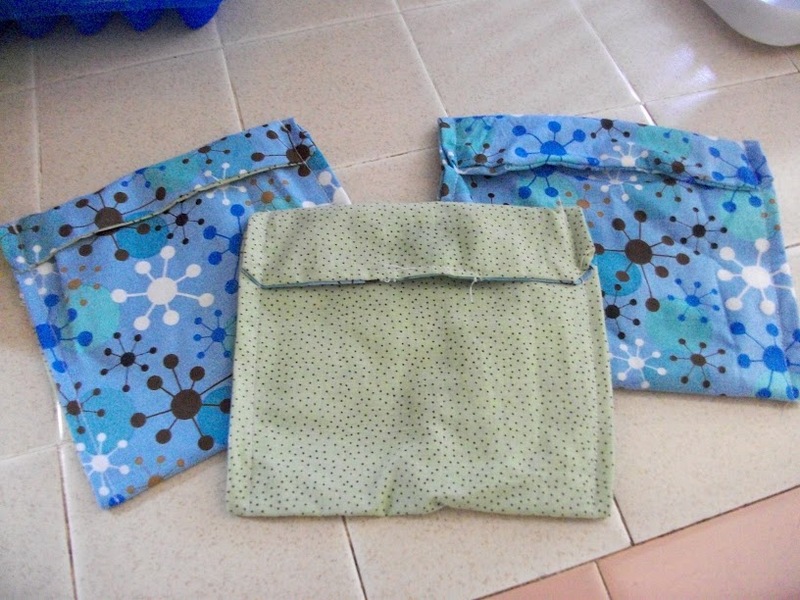 I had packed sandwiches and cookies in some fabric sandwich bags I threw together. I’m not saying that to “humble-brag,” I literally was throwing things through the sewing machine. That is why I took them apart today to remake them with a little more thought. We finished eating our dinner just as the concert was about to start. 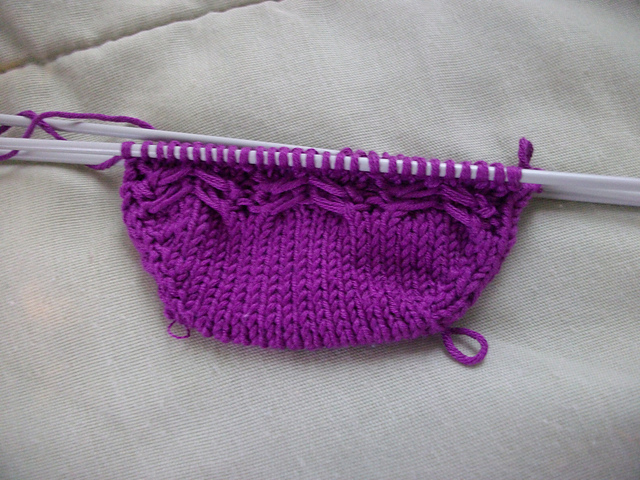 I picked up the start of my first purple Earlybird sock and started knitting. We were only able to stay for the first hour or so, since it was a late night. I still managed to get through the first repeat of the cables, though. So, for any knitters out there looking to knit through their next LA Phil concert at the Hollywood Bowl, to my knowledge you are allowed to bring it. That is some helpful information to have out there. Oh sure, everyone knows The Flinstones and the Jetsons. But the other day I was playing the newer Chipmunks movie soundtracks for the boy I babysit, and his mom told me to look up the Alvin and the Chipmunks theme from the 80s, thinking I had never heard of the show. I had forgotten about it until I looked it up, and then remembered it was one of my favorite cartoons growing up. Sure it’s an 80s cartoon and I grew up in the 90s, but back then Nickelodeon played more than two shows repeatedly during the day. (Not that I have anything against the current Nick shows, but it wouldn’t hurt them to throw the Rugrats or something on at a time other than 2am.) According to Wikipedia, the show was actually in production from 1983 to 1990. Thanks to Cartoon Network (from 1993-2001) and Nickelodeon (1995-1997), this show lived on for another generation. This got me thinking. What other shows did I grow up watching that ended before my time. Of course there was The Muppet Show (1976-1981) and Fraggle Rock (puppets 1983-1987, animated 1987), but I knew those were old. Muppet Babies overlapped into my lifetime (1983-1991), and Garfield and Friends (1988-1994) was half-new when I was watching. I also remember watching You Can’t Do That On Television (1981-1990) a couple times when I was younger. And who could forget The Smurfs (1981-1990). What shows do you remember when you were growing up? Anyone else grow up watching shows they didn’t even know were out of production? If you are a Muppet fan, you probably already know the world lost an incredibly talented, creative man Thursday night. Jerry Nelson passed away at the age of 78. SbazoInSlowMo of She Can’t Be Serious has nominated me for another award. This one is called the Kreativ Blogger Award. 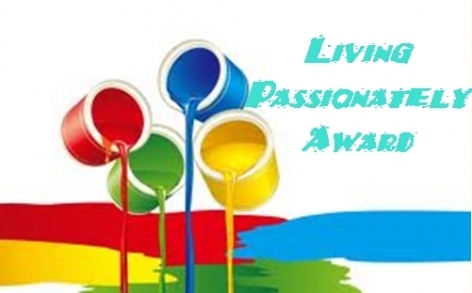 Thank the person who gave you the award and link back to the awarding blog. Thanks SbazoInSlowMo! What is your favorite song?I have to pick? Uhmmmmm…Right now I’ll “Particle Man” by They Might Be Giants. Mostly because it’s the one that came to mind first. What is your favorite dessert?Easy: chocolate. In any form. What do you do when you’re upset?Listen to music. What music depends on how upset I am. What is your favorite pet?Considering I only have one, I’d have to say the dog. Which do you prefer, white or whole wheat?Wheat for me, though my favorite is sourdough. What is your biggest fear?Honestly, I don’t know. What is your attitude mostly?Mostly I try to stay positive. I still collect Rugrats videos. As in VHS tapes. That I watch on my VCR. I also collect CDs. You know, those little round discs that contain music. We used them when music used to be sold in actual stores. I also have a mean collection of video games, from the 80s til now. I still own a PDA that is separate from my cell phone. I always have trouble coming up with these random facts. I play piano, flute, guitar, saxophone, recorder and percussion. I taught myself to play the saxophone within a day. Even though I did really well in school, I completely dislike the whole system and never want to repeat such an experience. I’m taking three online classes through the library system at the moment, despite my dislike of school. I just wrote this whole thing in HTML, thanks to one of those courses. I have been horribly out of the blogging loop, and I apologize. That means I don’t really have any nominations to pass this on. So I’ll let you decide. If you want the award, you’ve got it. Just leave me a comment so I make sure I go see your post.